This article appeared at The Daily Journal.com. 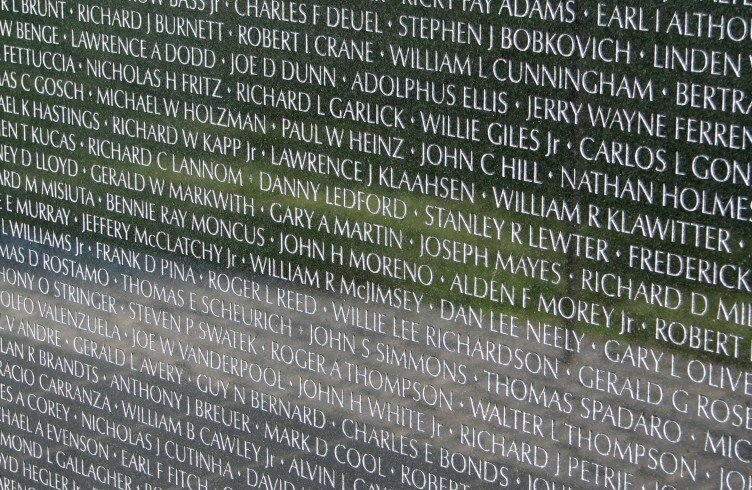 WASHINGTON — The Washington Post’s story on the items that have been left at the Vietnam Veterans Memorial drew responses from many veterans who spoke of their experiences during the conflict and of the power of the Wall. All were moving, but two emails in particular struck us. One was from a retired Marine, Roger D. Evans, 64, a hazardous-materials investigator from Moss Bluff, La., who served from 1969 to 1971. The other was from Don Beale, 68, a retired Labor Department economist from Arlington, Va., who served as an Army intelligence analyst in Vietnam during the same time period. Evans wrote that he was never in combat in Vietnam. Never set foot in the country. Never was in danger. He spent his tour in Hawaii, where his duty was to process replacements, which turned out to have an anguish all its own. “Throughout my life I have suffered survivor’s guilt as well as the guilt I suffered from my IBM punch card selection process,” he wrote. The secret, yellow-colored casualty reports from the war would come in from a message center. The reading of the reports started every morning at 8 sharp. Once the replacements were selected, he tried not to look at their names a second time and tried to forget them. He couldn’t always do that. Beale was an Army draftee, who was taught Vietnamese during a 40-week Army course and worked as an interrogator/analyst. He was in his early 20s. He wrote that he identified with the part of The Post’s story that recounted the experience and remorse of a soldier who had seized a photograph and other items from a dead North Vietnamese man. Beale said in an interview that his job was to try to glean intelligence from papers taken off the bodies of dead enemy soldiers. “They too were Universal Soldiers doing what their country expected them to do,” he wrote.